BJP's Maurya said the bua (aunt) and bhatija (nephew) relationship cannot work especially when the person has not been loyal to his father and uncle. Uttar Pradesh Deputy Chief Minister Keshav Prasad Maurya on Monday launched a veiled attack on SP chief Akhilesh Yadav, asking how a person disloyal to his father could forge a relationship of bua-bhatija and wondered how long this tie would last. He claimed that BSP chief Mayawati and Yadav have become “weak” by forging the SP-BSP-RLD alliance. “Neither Akhilesh Yadav has been able to strengthen himself, nor Mayawati in the ‘gathbandhan’. In fact, both have become weak by forging this alliance. A person who has not been loyal to his father and uncle, how can he forge a fake relationship of bua (aunt) and bhatija (nephew)? Do you think that such a relationship will go on?” Maurya told PTI in an interview. Akhilesh Yadav and Mayawati are often referred to as bua-bhatija. “They are disturbed over whether the SP’s votes will be transferred to the BSP or vice-versa. And, when they come to know that transfer of votes is hitting a roadblock, then their tension and blood pressure level will shoot up,” he added. The BJP leader coined new names for the rival political parties, describing the SP as ‘Samaapt Party’, the BSP as ‘Bilkul Samaapt Party’ and the RLD as ‘Roj Ludhaktaa Dal’. He said the character of the three parties was in front of everyone. He claimed that SP and BSP leaders were active only on social media, unlike BJP leaders who toil on the ground and had a vision for the country. He said the alliance has generated a false alarm that specific castes are with the SP, a particular community is with the BSP, and Muslim votes will add to their tally. 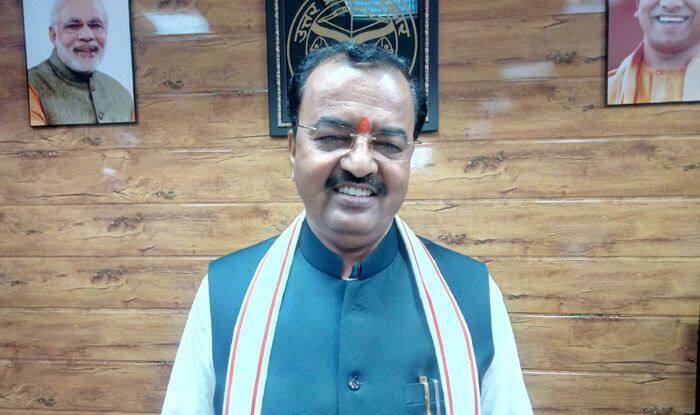 “But, they have forgotten that the madness of casteism which they spread till 2014 has been effectively overpowered by our nationalism, developmentalism, gareebvaad (concern for the poor) and kisaanwaad (concern for the farmers),” Maurya said, exuding confidence that the margin of victory in the 2019 Lok Sabha polls will exceed that of 2014. Referring to the Congress’s minimum income scheme, he said it does not suit any Congress leader, especially those born in the Gandhi family, to speak about poverty alleviation, as in 10 years of the Manmohan Singh government, they were unable to provide justice to the country’s poor. “It is that family which did injustice to the people of the country. Today when steps have been taken to give justice, they are becoming restless, as those who are out on bail are apprehensive of going to Tihar jail,” Maurya said. “None of the rival political parties’ aim is to give justice to the people of the country or eradicate poverty, terrorism and corruption. Their only aim is to stop Narendra Modi from becoming the prime minister, while the people want Modiji to become the next prime minister,” the deputy chief minister said. He said none of the BJP’s political opponents had the courage to question the party on the issues of development, national security and welfare programmes initiated to eradicate poverty, and the success of Kumbh mela held in Allahabad. Maurya said the opposition today is devoid of issues, leaders and policies.